At White Birch Brewing our goal is to create great beer for the enthusiast. Each batch is brewed at our brewery in Hooksett, New Hampshire. Napoleon’s troops referred to Berliner Weisse as the “Champagne of the North” due to its lively and elegant character. Today this style is describe by some as the most refreshing beer in the world. We feel our approach creates an authentic interpretation of a classic summer refresher. Crafted in small quantities to be savored for any occasion. 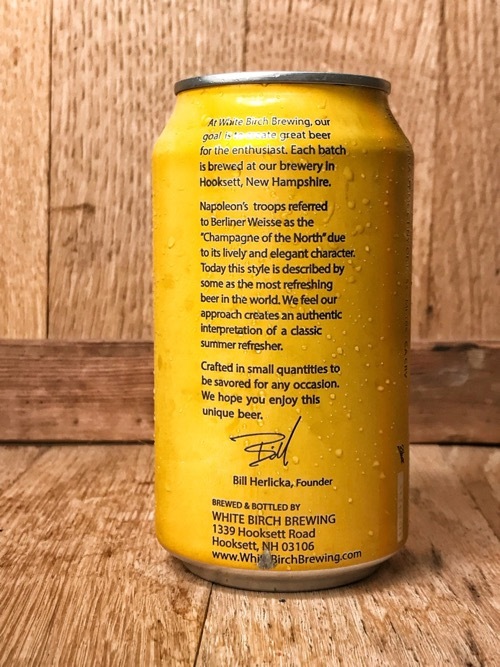 We hope you enjoy this unique beer. 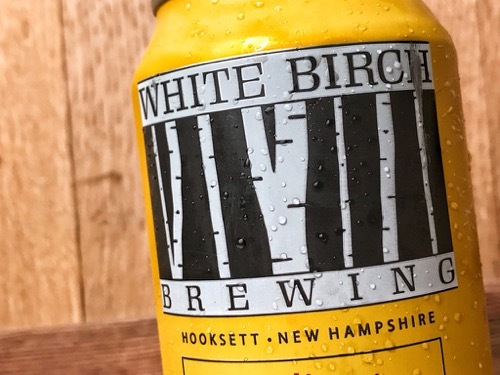 This beer as part of the whole White Birch lineup moved into my area a couple of years ago, but I just stumbled across their beers this summer (which is really great timing considering how refreshing their sours are). The berliner is a clean crisp take on the classic style, and is a really well done one in my opinion at that. The beer pours a light golden color with a thin head on top. The bubbles dance around in the glass exactly like I’d expect them to, carbonation is lively I suppose one would say. Aromas are light and fruity, apples and grapes play side by side with a touch of melon and floral notes. 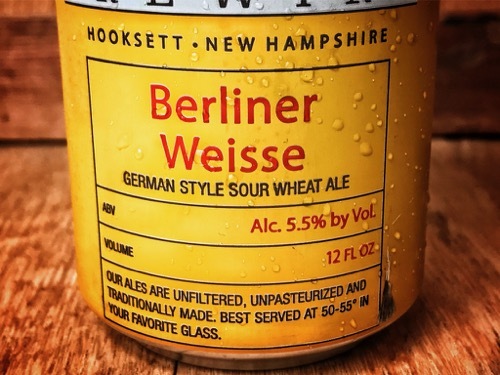 The taste of the beer starts out with a really great lively mouthfeel (it’s that carbonation) very quickly you get the fruitiness and floral flavors which are quickly pushed out of your palate by the crisp lactic smack. The finish lets the touch of wheaty bread have a moment, as well as a lactic “funk” that is very faint, but pleasant. All this happens in quick successsion, leaving me wanting another sip very quickly to repeat it all.